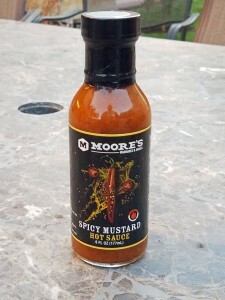 Moore’s Marinade hooked me up with a bottle of their new Spicy Mustard Sauce and while I could have just poured some on a hot dog, tasted it, and told you what I thought about it, that didn’t feel right. It’s better than that. The Alabama-based sauce maker did a great job with the Spicy Mustard. It packs the sort of sour you’d expect in a mustard but also has a little sweet, a touch of smoky, and then a nice cayenne heat on the end. The sort of fire I want in my hot sauces where it works with the rest of the stuff in it to elevate eating it. 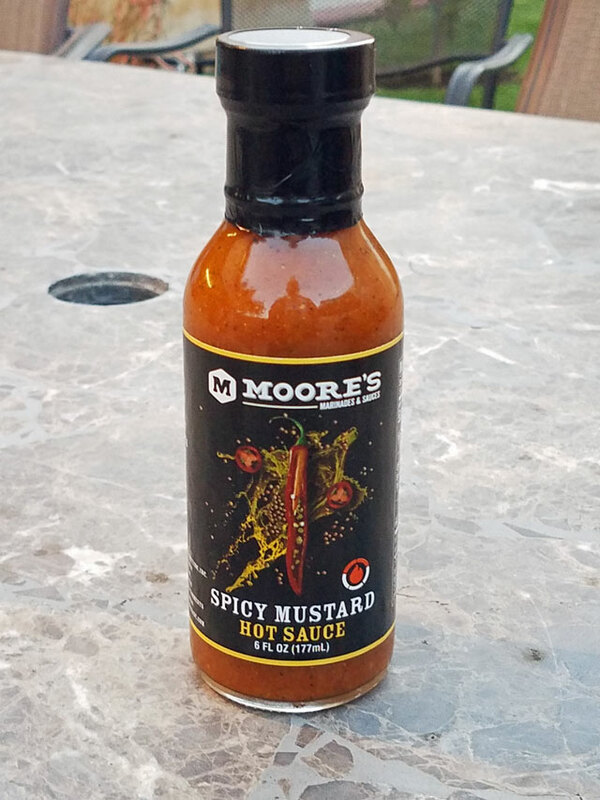 If you’re the kind of person that likes mixing sauces to make something really cool, the Moore’s Spicy Mustard is a great choice for that. 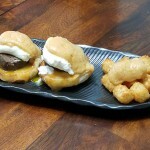 Hence why I didn’t really want to put it on a hot dog and call that the review. I could have (and I did, for a baseline flavor test) but then possibilities started playing in my head. Egg salad and deviled eggs came to mind first; people use mustard in them all the time and this sauce would be excellent for dressing up either in a way that’s both familiar and new. That wasn’t quite weird enough for me. What was odd was how I kept thinking about Carl’s love for mustard in biscuits in the movie Sling blade. Mmm, hmm. Alright, then. Not having biscuits handy, though, I opted for English muffins and made sausage eggs benedict with spicy mustard gravy. Using a basic gravy base of butter, flour, and chicken stock, I pimped it out with the Moore’s. The results were excellent and I’d definitely recommend their Spicy Mustard Sauce to you.